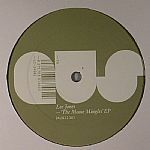 Review: Essex bred Lee Jones lived in London until 2002, where he was producing and remixing as the downtempo/nu-jazz artist Hefner. After following his heart to Berlin, he was inspired by the music and clubs to move into a new production style. For the past two years he has been recording and performing live as part of the successful Playhouse signed trio My My. 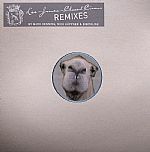 For "There Comes A Time" Lee's blissed out chords drift effortlessly around a squelchy melody while chunky drums bounce in and out of the mix. The tension builds as the groove evolves and then a more sublime melody is introduced into the arrangement that'll have you reaching for those lasers. It's one of those tracks that just oozes its own unique character. On the flip side Prins Thomas gets to work. The master of the delay unit creates a build-up of feedback and meshes this into an ominously throbbing bassline that swells with intensity throughout the arrangement to create tension and impact. When combined with Lee's euphoric chords it creates real excitement. Review: The summer of 2005 wasn't memorable for it's good weather. But during countless chilly nights and cloudy days drifting around Bar 25 and Club de Visionar, I started to notice a small bearded man playing records with a groove that seemed perfect for the time. I got to know Matt, and after handing him a CD, he picked out one track that caught his ears "Kinder Country". With 3 MY MY EPs and a forthcoming album for Playhouse already finished, and our monthly night MY MY and Friends at Watergate up and running, myself, Nicolas Höppner and Carsten Klemann were thinking of what to do next. Matt offered to remix Kinder Country and the label just was born. Kinder Country is the theme to a summer that never happened. Its warm texture and subtle funkiness provide a soundtrack for warm mornings and long lazy days subdued by a melancholic cloud that dampens the brightness. Matt John's Vollbart remix accentuates that mood, by stripping down the elements and locking them down over his own, unique groove. Lee Jones - "In The Water"
Matthias Meyer & Lee Jones - "Basic Chord Tool"
Ray Okpara - "Short Stick Can"
Lee Jones & Daniel Dreier - "Lullaby"
Patrice Baumel & Lee Joens - "Voice Scatter"
Mark Henning - "Gibson Said"
Gregorythm & Greenback - "Lion Dreams"
Lee Jones - "Kreuzberg 61"
Review: Who do you pick to mix the next instalment in your series when the last from dOP was one of 2010s finest compilations of so far? 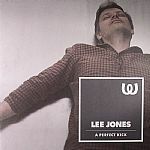 You play it safe by calling in tried and tested, Essex born Berlin based club resident, Lee Jones. There's a slickness and clarity to this mix which perfectly suits the future disco that is Watergate, but with injections of real musicality all throughout things never become as perfect and digitalised as to blend pleasantly into the background. At first it may seem noodly, but the fluid lines and subtle progressions here are what keep you coming back for more. That and gentle freak-outs like "Voice Scatter", tear jerking piano moments like "Melancholie II (Lee Jones Watergate Remix)", multi-layered organic rollers like "YoYo" or the loose, suspended tension of minimal patters like "December". Thread together as sensitively as they are, these records make for a mix which wears its heart on its sleeve: it's beguiling but delicate and commanding yet tender. 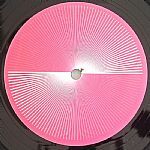 Lee Jones - "Wax Off"
My My - "Going Going Gone"
Will Saul & Tam Cooper - "Heartwave"
Lee Jones - "Two In One"